Bold. 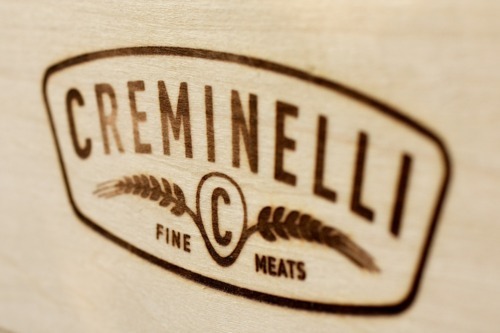 That is the first word that came to mind when I had the chance to try Creminelli’s new Whiskey Salami. The salami is made using Park City’s High West whiskey. 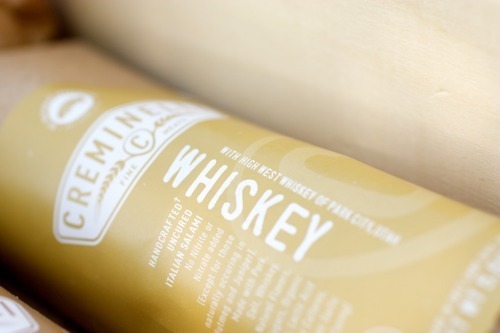 High West has been cranking out award-winning spirits for the past few years, and Creminelli teamed up with them for this new salami, which features High West’s new Son of Bourye whiskey. While not an imbiber myself, I can tell you that with one whiff of this salami, I knew it was going to be a bold new offering from Cristiano Creminelli. And it didn’t disappoint. The flavor is strong, with just a little bit of kick that lingers on the back of your palate and a hint of juniper. I wouldn’t call the whiskey in this salami overpowering. 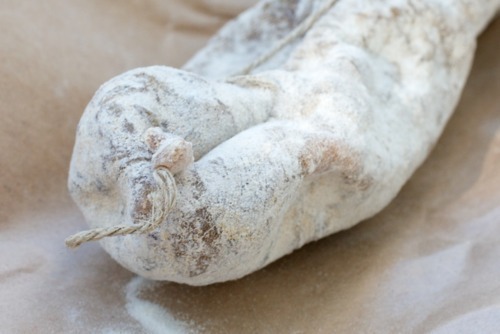 While it certainly makes its presence known at first whiff and first bite, it mellows out and is the perfect complement to the wonderfully rich, well-rounded, and flavorful salami we’ve come to love from Cristiano’s shop. High West says that the Son of Bourye whiskey is “best enjoyed around a campfire while looking at the Milky Way.” I think this statement applies equally to the bold flavors of the Creminelli Whiskey salami. I could definitely see myself snacking on this in the middle of the desert, watching the stars. This salami isn’t for the faint of heart, and it certainly won’t let you forget about it for very long. 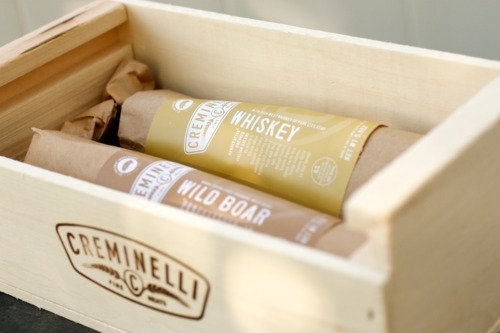 Creminelli is currently selling the Whiskey Salami as a limited item in their Wild West Salami Gift Set. 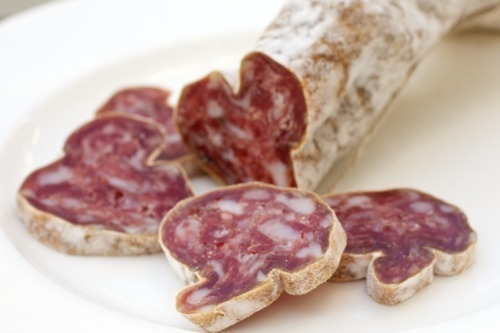 The Whiskey salami is paired with another bold salami, their Wild Boar. Creminelli is currently promoting this as a perfect gift for Father’s Day, and I couldn’t agree with them more.